It’s easy to see why dance fitness classes are so popular. Who wants to hop on the treadmill when the option to dance your heart out is so readily available? Next time you’re heading to the gym, consider signing up for a Zumba class at one of Virginia’s great fitness centers! Kazaxe is an intense, dance-based workout using dancehall, reggae, hip hop, soca, samba, axe, Brazilian funk, and more to get their members moving. Developed by a master Zumba instructor, Kazaxe has been written up in the Washington Post and others for revolutionizing the form. Valley Fitness in Harrisonburg, Virginia, offers all kinds of fitness options, including personal training, an aquatic center, group fitness classes and classes for the elderly. They offer over 15 different group classes, including Harrisonburg’s best Zumba. XSport Fitness has five locations in the Washington D.C./Virginia area, including one in Alexandria, Arlington, Falls Church, Fairfax, and Woodbridge. Their group fitness classes include all manner of different fitness options, including Zumba. Mambo Room in Norfolk, Virginia, offers dance lessons and fitness options, including salsa, bachata, Kizomba, jazzercise, and Zumba. Check out their online schedule to find a free open house and try a class for yourself. CoCo Fitness in Arlington, Virginia, has been featured in Allure, Daily Candle, Class Pass, Living Social, and more. They specialize in personal training and Zumba classes. Contact them to book private corporate Zumba events. While Sensazao Dance Fitness in Alexandria does not offer Zumba classes, they do offer an incredibly unique and high-intensity dance fitness program called Sensazao. Using "powerful choreography" to "exciting music," you can expect to burn 200 to 1,000 calories in a 60-minute class. Not only will you be working hard, but you'll enjoy yourself while you do it. 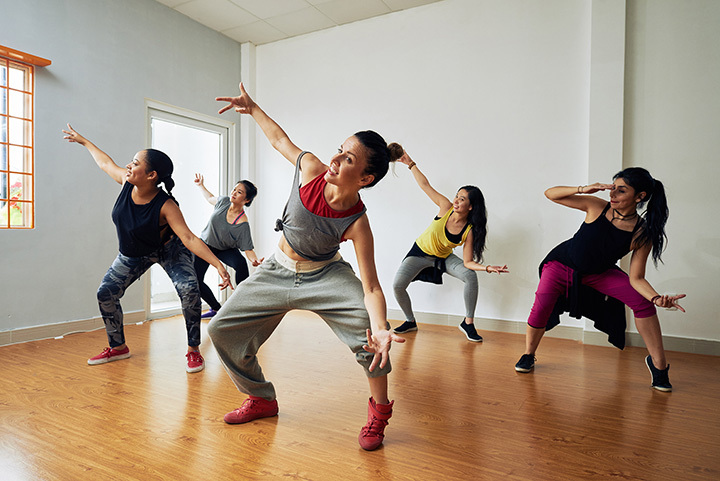 Brickhouse Cardio Club in Stafford, Virginia, “is a fun, fast-paced and energetic fitness studio that combines dance with aerobics.” They accomplish this through all kinds of classes, including Zumba, and offer unlimited classes at affordable prices. Unlike most of the other locations on this list, Garden of Eden isn’t a gym. They’re a full-service natural health product supplier, offering full massages, ion cleansing, infrared sauna treatments, and, yes, Zumba classes. Get Shaped Fitness serves the Arlington, Virginia, area with personal training, nutrition and meal planning, virtual and online training, and corporate wellness programs. Yoga, Total Body Blast, and Zumba are among their many class options.